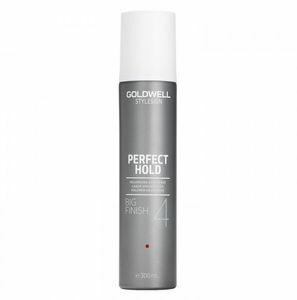 Goldwell StyleSign Volume is a fine spray for final fixation of your hair which provides it with perfect fixation and volume. StyleSign Volume spray protects hair from high humidity and improves the fullness of hairstyle. Its efficient composition provides thermal protection and protects hair color. It contains a Flexshine Protect technology consisting of UV-A and UV-B filters, panthenol, and polymers enriched with bamboo proteins that form an elastic film around each hair. Provide your hairstyle with the maximum volume using the unique Goldwell StyleSign Volume! Shake before use! Spray from the distance of 25–30 cm. Style as needed.